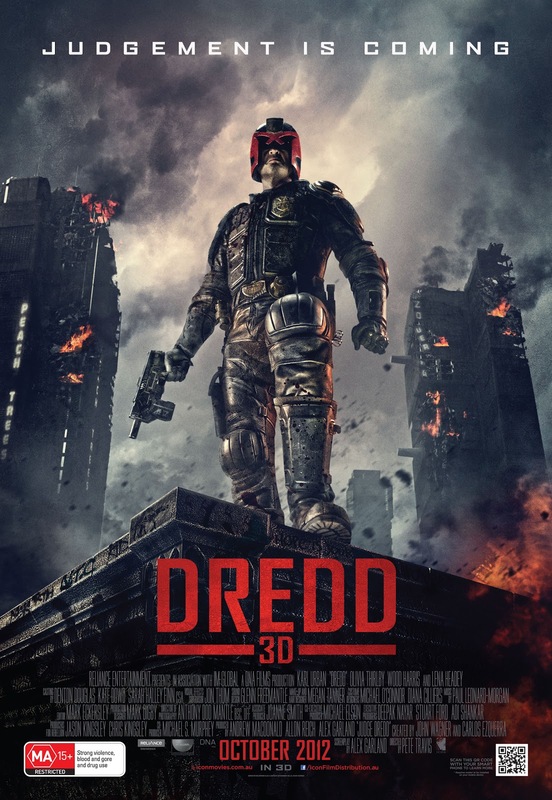 *CLOSED* Competition - Win Tickets to Dredd 3D! It's okay to be excited for Dredd because quite frankly, so are we. After enjoying the absolutely terrible Stallone incarnation, how could we not enjoy Urban rocking the helm? Let's get this straight, what things did Stallone do wrong? Well, for starters you couldn't understand him! "I am COLESLAW!" Thankfully, the brand new Dredd 3D fixes a whole bunch of problems and makes for a particularly badass take on a particularly badass character and as an added bonus, there will be no kissing or removal of the helmet. Geek rant complete and now onto business. Our friends at Icon have supplied us with 5x double passes to Dredd 3D. So, to get your hands on one, fill out the form after the jump for your chance to win! Competition closes at 11:59pm EST on Sunday the 21st of October 2012. Your details will not be used in any way other than for the delivery of your prize. The Geek of Oz and Icon Film Distribution do not take any responsibility for the loss, damage or delay of/to prizes sent to winners (blame Australia Post for that one). The judges decision is final and no correspondence will be entered upon. An email will be sent to the winners, if prizes are not claimed by Sunday 21st October they will be forfeit and redrawn. Prizes are not redeemable for cash or any other kind of trading currency such as creds, latinum, sen, kan, zeni, double dollars or Ankh Morpork dollars. This competition is only open to Australian residents and tickets only valid at the cinemas discretion. Any questions or queries can be submitted through the comment section at the bottom of screen. Good luck!